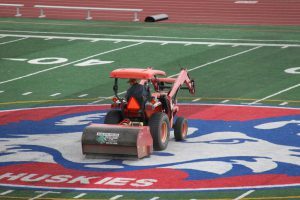 Athletic Field Turf Maintenance Practices Your athletic field sees its share of wear and tear. The more people are on your field, the more stress it will endure. In order to keep your field looking good, you have to give it some love! Odeys has put together an information sheet for our groundskeepers and friends in the maintenance industry. We hope you find it helpful as you work to make your field a safe place where fans and athletes can gather! Football/Soccer Field Guidelines Football and Soccer fields are unique in that they require more turf (grass) areas than most sports do. In order to keep your field looking healthy and beautiful, we recommend a series of practices. We hope that you will find this resource as helpful as we do! Football/Soccer Field Safety Checklist Sometimes it is hard to keep track of all the things you have to do to keep your field on its A game. Odeys has comprised a “checklist” so that you don’t have to! Please download our list and use it as you work to make your space preform at its best! 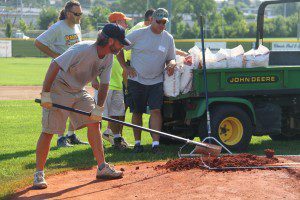 Baseball/Softball Field Guidelines Baseball and Softball fields require special attention. In order to keep your field looking healthy and beautiful, we recommend a series of practices. We hope that you will find this resource as helpful as we do! 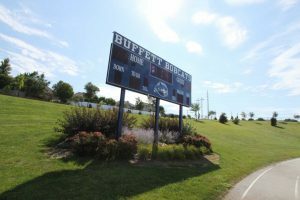 Baseball/Softball Field Safety Checklist Sometimes it is hard to keep track of all the things you have to do to keep your field on its A game. Odeys has comprised a “checklist” so that you don’t have to! Please download our list and use it as you work to make your space preform at its best! Dragging Techniques These simple diagrams should help you with your dragging patterns for baseball/softball fields. Odeys “The Field Experts” would like to thank the following individuals for the information offered to us to help create these guidelines. It is with many hours of dedication and passion that these guidelines are made possible to each of you. A special thanks to not only these individuals but to all whom share information with each other on a daily basis in our industry, throughout the country.